enclosed inside the nucleus of a cell. They also learned that the DNA is the blueprint of life and it contains a lot of information about us. Probably students may have heard scientific studies on the DNA and their practical application to us humans. 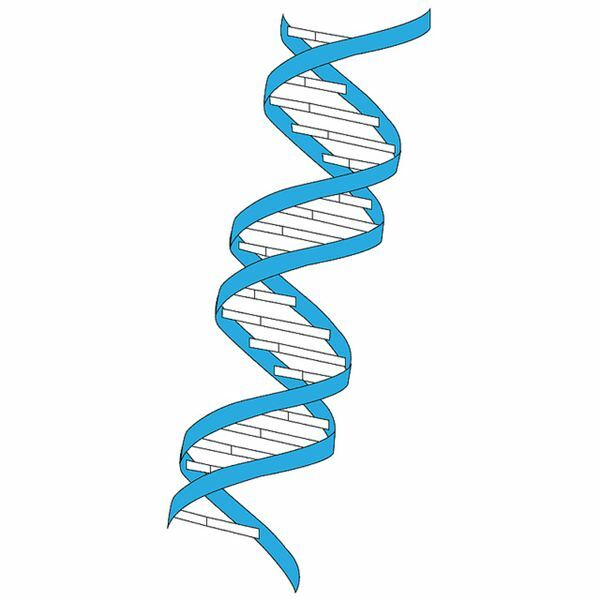 An example is genetic testing wherein the DNA of an individual is analyzed for the presence of genes that predispose him or her for genetic illnesses and disorders. Another example is the use of DNA fingerprinting to identify an unidentifiable dead body. Forensic scientists also use DNA fingerprinting to identify criminals if the only evidence present in the crime scene is blood, tissues, other body fluids, hair or a combination of these. Students may have learned from books and from their teachers the structure of the DNA and how it looks like in the molecular level but they don’t have real life knowledge on the appearance of DNA when it is extracted from cells in the laboratory for study. Take note that in order to start a genetic testing or DNA fingerprinting, the DNA should first be released from the nucleus and from the cell in a process called DNA extraction. DNA extraction is easy so students can enjoy performing it in the laboratory. The teacher doesn’t need to worry on the materials used in DNA extraction because they are cheap and not difficult to find. The teacher should note that before the students perform DNA extraction, the basic structures of animal and plant cells were already taught to them. The class will need green split peas for plant DNA extraction and chicken liver for animal DNA extraction. The class can choose from other DNA sources if they want because there are a lot of vegetables, fruits, and animal organs that can be used in this experiment. However, green peas and chicken liver are highly recommended because they give the best results based on experiences of teachers that already performed DNA extraction in class. The class also needs salt, cold water, liquid detergent, meat tenderizer, ethyl alcohol, blender, strainer, test tubes, beakers, and stirring rods. The teacher can divide the class according to her preference but a group of three members is recommended. She should guide the students while they perform the experiment answering questions that they may ask. She can also write the steps in DNA extraction on the board or she could just discuss them in class. The class can first perform DNA extraction on the green peas. The same procedures are used in extracting DNA from the chicken liver. The class decides on what will be performed first. The first procedure is performed as a class. Put 100 ml of green split peas, 1 ml of table salt, and 200 ml of cold water in a blender. Blend the mixture on high for 15 seconds or until the mixture has a “soup" like appearance. The teacher should tell students that blending the peas separates the cells from each other so they now have a thin pea-cell soup. She may increase the amount of green peas to be blended depending on the number of groups. Pour the thin pea-cell soup through a strainer into the beaker. Dispose anything that did not pass through the strainer; what is needed is the liquid in the beaker. Add about 30 ml of liquid detergent in the beaker and swirl the mixture. After 5-10 minutes, pour the mixture into the test tubes of all groups. Each test tube should only be 1/3 full. Before performing the next step, the teacher makes it sure that each group has their own mixtures in test tubes. The next step is adding one pinch of meat tenderizer to each test tube. Stir the mixture using the glass stirring rod. Warn the students to stir the solution gently to avoid breaking the DNA. It would be hard to see the DNA if they are broken. Tilt the test tubes for about 45 degrees and slowly pour 70-95% ethyl alcohol. The amount of alcohol to be poured in should equal to the amount of mixture in the test tube. The alcohol will float in the mixture because it is less dense than water. At the layer where the alcohol and the mixture meet, a clump of white stringy stuff appears. This stringy stuff is nothing but the DNA of the split peas. The students can collect the DNA using a stick and they may preserve it by just putting it in a small container with ethyl alcohol. After performing all the procedures above, the students can now begin extracting DNA from the chicken liver. They just follow the same instructions discussed above. The teacher can create questions for students to answer from the chemical principles underlying the DNA extraction technique. The detergent was added to break open the cell and the nucleus so that the DNA will be released. The detergent destroys the cell membrane and the nuclear membrane by chemically reacting to the lipid bilayers that make up the two membranes. The reaction is just like the action of liquid detergent in removing greases from plates when you wash your dishes. The meat tenderizer was added to separate the proteins attached to the DNA. The meat tenderizer has enzymes called proteinases that break down protein into smaller forms like peptides and amino acids. The salt was added to stick the DNA together. This is necessary to see the DNA through our naked eyes. The white stringy stuff that the students saw is DNA strands clumped to each other. DNA normally dissolves in water but when a salty DNA is exposed to alcohol it precipitates. This is the reason why you saw the white stringy stuff immediately after adding the ethyl alcohol. As you have learned, DNA extraction is not too complicated of a procedure. Scientists today may be using advance methods in DNA extraction but the basic principles are still the same. DNA extraction is truly a fun biology experiment that students will enjoy so what are you waiting for teachers, make your lesson plan on DNA extraction now! How To Extract DNA From Anything Living. Retrieved November 19, 2009.